Central Jeep of Raynham is one of fastest growing Jeep Dealerships in MA for a few very easy to understand reasons. We don’t just guarantee the best prices, we also go the extra mile to ensure our customers’ complete and unconditional satisfaction. 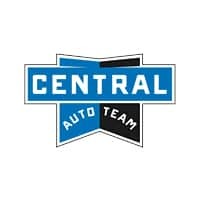 From the best selection to the best car buying experience, guaranteed, call or visit us today to find out why so many car shoppers choose Central Jeep of Raynham. Don’t take our word for it, read our customer reviews on Google. We look forward to serving you and earning your trust in the process. We take pride in the fact that most of our growing customer base comprise of returning and referral business. We work hard to earn their business and they, in turn, reward us with the privilege of service them. We look forward to serving you and earning your trust in the process.